I hope everyone who attended the USA Workshop finds solace in the fact that I can barely move. (so I can imagine how you guys are feeling!!) Simple acts are suddenly unbearable. I can't bend, turn or sit and walking is a painstaking process of wincing as each leg hits the floor. (like a saddlesore cowboy in too tight pants!) I wonder how I will wake up?? Will I wake up?? That aside, CONGRATULATIONS!! What a mighty effort was made by all participants?? You have inspired us so much with your energy, enthusiasm and determination (to push past the pain barrier and try your hardest!!) You certainly worked the hardest we have ever seen you and so it gives us great hope for the wonderful times ahead. We are confident with you on our team!! THANKYOU!! Sure, it hurts but in the words of a well known ditty, "BABY, HURTS SO GOOD." 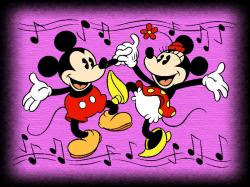 Next Disney rehearsal Saturday 16th Feb, 11am-1pm. We enjoyed our first rehearsal with the USA team today. We are very excited to be embarking upon this thrilling and challenging adventure with you all. We were really impressed with the standard, effort and enthusiasm today. Well Done everyone!! This is the beginning of something wonderful. ( I wonder if we will be sore tomorrow.) I think YES!! GO TEAM! Please email Rikki at rikki@steppingoutdance.com.au if you would like a Dubbo or Orange timetable or enrolment form sent to you. It has been great to hear about all of our students wonderful achievements. 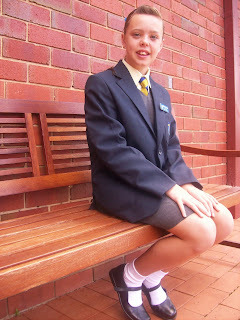 We have had so many students enjoy outstanding successes at school and was thrilled to hear that Melissa McDonald was announced as Captain of South Dubbo Primary for 2008. Here is a pic of Melissa looking quite the leader. Good Luck this year Missy!! We know you will do a fabulous job. 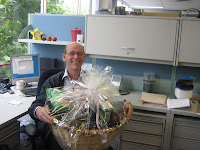 Congratulations to Greg Vinall who won the Orange Fundraising Committee Christmas Raffle. Greg has been a wonderful supporter of all the girls efforts and they were very pleased he was the lucky winner. I hear the hamper was awesome and that Greg was absolutely thrilled. Here are our Junior team members from Forbes who will be performing at Disneyland in 2008 with us!! The girls performed a beautiful routine at Forbes Concert "Across the Universe". Pictured are Francesca Fenton, Meg Toole, Jasmine Rolfe & Chenoa Pearse. Special thanks to Judy Pearse for sharing this delightful snap with us. Hope you are all enjoying your holidays!! Thanks to all who have signed the guestbook (am loving it!! Tara- that is the coolest shot of you??) Our enrolment packages are in the mail. Dubbo yours is being sent Monday (still finalising timetables!!) Our Enrolment Days are ORANGE Thursday 17th Jan 4.30-6.30pm and DUBBO Friday 18th Jan 4-7pm. Come and say hello. 2008 is going to be huge!! Holidays are speeding by! Don't forget to drop in and say Hi and sign our guestbook or send us an email. Big thanks to Kim Dawes (mum of Amy & Jess) for sending me some great pics. We love getting them. Gorgeous shots Jess! 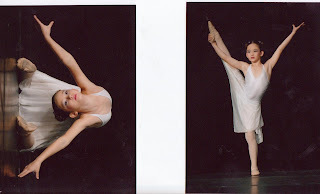 Jess started solo work this year and received Honours in her Ballet exam!! GO JESS!! 2008 is here and with this brand New Year comes the exciting task of preparing our Disneyland Performance. 2008 is going to be a huge year and the hard work starts now. 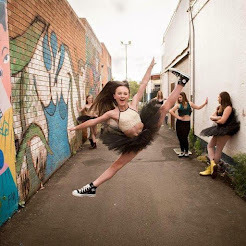 To kick start our rehearsal schedule, we will be holding an intensive 2 day workshop at our Dubbo studio, 55 Wheelers Lane for all team members. 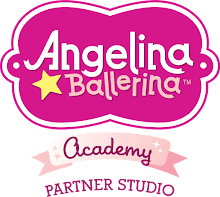 This workshop will greatly assist in developing the concepts, casting and choreography for the show. Classes will be held from 10am-5pm. Please pack lunch, water bottles, snacks. There is a shop adjacent to our studio. Cost of the two day workshop is $95 per participant and should be brought to class on the first day of the workshop.